PSEG has installed 200 replacement steel poles along a 7-mile stretch of Eastport Manor Road and on Country Road 51. 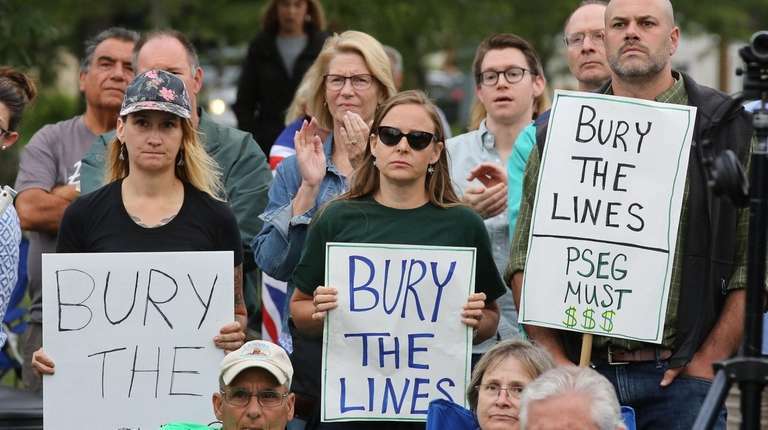 More than 200 people rallied on a hamlet green in Eastport on Wednesday to demand that PSEG Long Island remove “monster” steel poles erected last year in the business district and on a nearby highway as part of a utility fortification project. Chanting “monster poles must go” and brandishing signs, the residents and officials expressed continuing outrage over the 200 replacement steel poles, which run along a 7-mile stretch of narrow business-district roadway on Eastport Manor Road and on County Road 51 from Montauk Highway to a substation in Riverhead. The poles, which replaced smaller wooden ones, are 80 to 110 feet tall and 7 to 12 feet in circumference at their base. In December, a car exploded into flames and its driver was killed after he slammed into one of the larger poles at the intersection of County Roads 111 and 51. “We want these poles down, we want the transmission line buried and we want it done now,” said Assemb. Fred Thiele (I-Sag Harbor), who, with State Sen. Kenneth LaValle (R-Port Jefferson) recently saw passage of a bill that would require greater notification by utilities of above-ground projects such as that in Eastport. 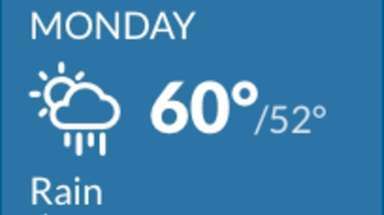 It awaits Gov. Andrew M. Cuomo’s review. Petitions urging Cuomo to sign it were distributed at the rally. 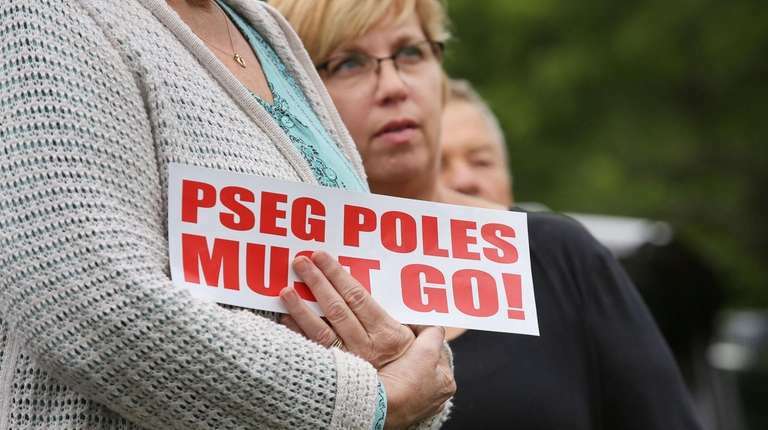 PSEG officials didn’t attend the event, as they did a rally last year to protest the poles. 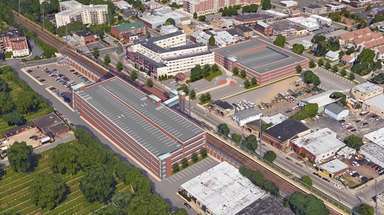 Brookhaven unsuccessfully sued PSEG and LIPA last year, charging the utilities failed to conduct a proper environmental review of the project, including properly notifying towns and residents of the impending work. 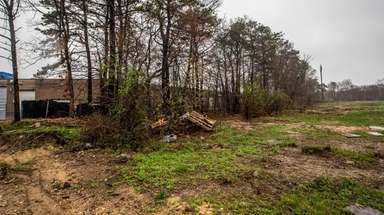 A state Supreme Court judge disagreed, calling the matter “moot” because much of the work was completed and Brookhaven didn’t object early enough. PSEG after a similar rally last year said it would take down some of the poles in the mile-long stretch of the business district and bury the power line, but settlement talks fizzled amid a complaint filed by lawmakers with the state Department of Public Service and Brookhaven’s suit. 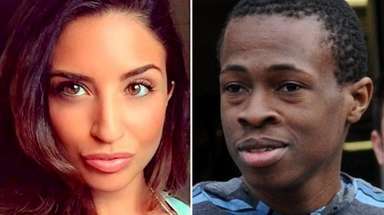 Brookhaven is appealing the judge’s ruling. “This is a fight we will continue,” Romaine said. 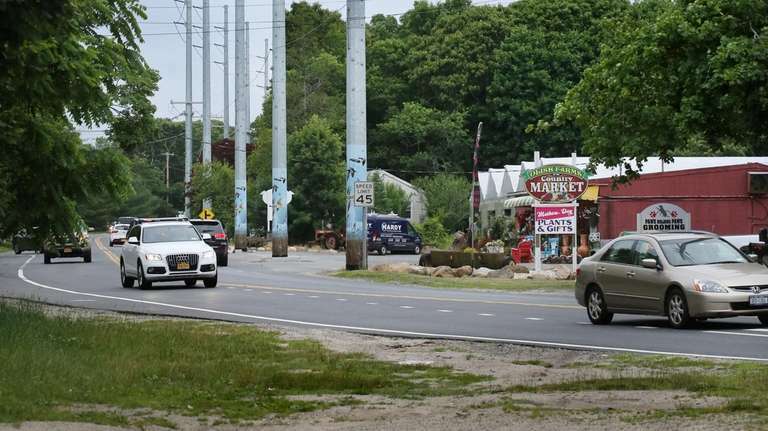 Southampton Town, through which many of the poles run on County Road 51 and which joined the Brookhaven suit, will continue to oppose the utility in court, said Supervisor Jay Schneiderman.